→Where Does Dust Come From In Your House? Where Does Dust Come From In Your House? Even when looking around a picturesque house it’s easy to notice dust and wonder ‘where does dust come from in the house ?’. Dust collects in the house and is a constant eyesore and continuous nuisance to most people. It seems to recollect as soon as it’s wiped away, and it does so with good reason. Dust particles accumulate from several sources and are impossible to prevent altogether. For this reason, many people believe that dust is harmless even if it’s an annoyance. What many people don’t realize is that dust can also have a negative effect on health by exacerbating conditions like allergies and asthma and causing discomfort and irritation as well. Though dust is ever present and ever collecting, here’s some information that can help you understand just where does dust come from in the house and what you can do about it. Where does dust come from in an empty house? Where does dust come from outer space? How to maintain a clean and dust free home? Indoor dust is generated by things like the fabrics and fibers of furniture and floor coverings, electronic devices, and the human body. Outdoor dust comes in through open doors and windows and is also tracked inside on the soles of our shoes as well. 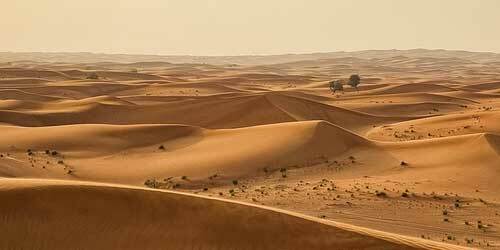 60% of the dust found inside of homes is outdoor dust. Outdoor dust is a nuisance but it is also potentially dangerous because it can contain particles of hazardous substances -including arsenic and lead. Children and pets can easily consume these pollutants by accidentally putting dusty objects into their mouths, and if these contaminants are left to sit they can be breathed in by anyone in the house. Household dust is partially made up of the dead skin cells that humans shed from their bodies constantly, but that makes it anything but harmless. Studies show that on average people lose about 4g of skin in a 24 hour period or about 28g every week. Allowing this kind of organic dust to collect is problematic because of dust mites. 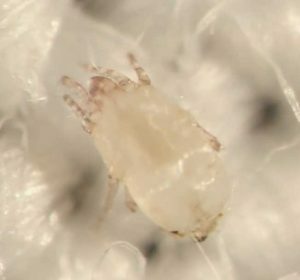 Dust mites are tiny microscopic organisms that feed on the skin cells in the dust. Their droppings produce allergens and any movement – even simply walking across the floor – can send the mites and their droppings floating in the air where they can linger for up to thirty minutes causing reactions like coughing, sneezing, and itchy eyes and skin. An empty house gets dust from the atmosphere.Atmospheric dust is a term used to describe dust that’s from dry arid regions of the planet.One-third of the earth’s surface is made up of dust producing substances. Dust particles are lifted into the air by high-velocity winds and are then transported into and throughout the atmosphere at great speeds and far distances. When earth dust is transported by the wind it travels and is blown into houses where it disintegrated into an even smaller and less dense form upon landing on solid surfaces. Dust is a huge part of the atmosphere in outer space. Gas clouds and dust particles are the building blocks of planetary systems. Dust orbits around the Sun and the tails of comets are made of dust as well. Cosmic dust also settles on the surfaces of planets. Mars often experiences vast and mighty dust storms in its atmosphere. How much space dust falls to earth each year? Each year forty thousand tons of space dust passes through our atmosphere and settles on the earth’s surface. The dust from meteorites, comets, and other objects in our solar system falls daily into our environment and eventually ends up being tracked into our homes in a very fine form. Because dust has the potential to contain harmful substances and to create allergens that can cause and exacerbate medical conditions it’s very important to be diligent and maintain a clean and dust free home. With dust in the atmosphere and ever-accumulating it’s important not to allow it to continuously build up and sit in rooms and on furnishings. 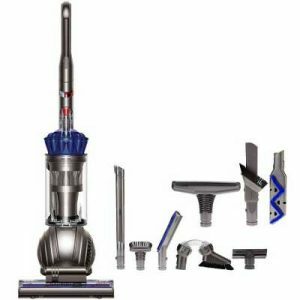 The most helpful tool in fighting dust is a good vacuum with a hose attachment such as Dyson Ball Allergy Upright Vacuum (Read Customer Reviews). Below are key things to do to maintain a clean and dust free home. All carpet floors and other fabric floor coverings should be vacuumed thoroughly and often. Mattresses and couches should be cleaned with the vacuum’s hose attachment and this should be done daily if possible since dead skin collects in these objects and mites thrive in them as well. Electronic devices should be dusted frequently and dust should never be allowed to collect or pile up on them. Attention to details and planning to do a thorough and complete cleaning of rooms and the furniture and other objects in them will make sure that pesky dust never becomes a problem without a solution in your home.